Overall, the various forms of interference with economic relationship that the law protects, as well as the various types of harm associated with such economic relationships that the law imposes legal liability would be too numerous to list. The types of business torts which frequently occur and would fall under this unfair competition practice are breach of contract claims and interference with prospective advantage or interference with economic relationships. Interference of the party causing the injury or damage was intentional, as opposed to negligent. The defendant did not know about the contract. The defendant did not intend for its conduct to interfere with the contract. The contract would have been breached even without the interfering conduct. A valid contract was not in effect when the defendant’s conduct occurred. The defendant had legal justification or privilege for its actions. Damages for a successful tortious interference with contract claim are economic. The damages are calculated to reasonably compensate the plaintiff for the loss suffered due to the defendant’s interfering conduct. 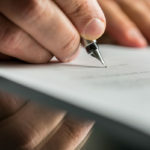 The settlement of a breach of contract action does not necessarily preclude recovery on a tortious interference claim involving the same contract. Competition is an expected, common part of business. However, if you believe that someone is improperly interfering with your business relationships, our knowledgeable Florida business litigation lawyers at the Law Office of Nnamdi S. Jackson can assist you in determining whether such objectionable conduct constitutes proper economic competition or actionable tortious interference.